This eclectic four-piece from Oxford has been breathing a youthful vitality into folk-based songwriting since the release of their whimsical debut album, Beachcomber’s Windowsill. 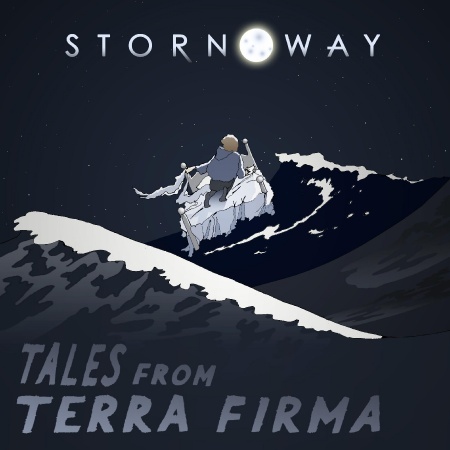 However, in Tales from Terra Firma Stornoway channel a feeling of real intellectualism, courtesy of Brian Briggs’ poetry and John Ouin’s complex arrangements, into something just as resoundingly accessible. Lyrically the album feels like a natural follow-on from its predecessor, taking similar themes, yet relating them with a new-found voice of experience. 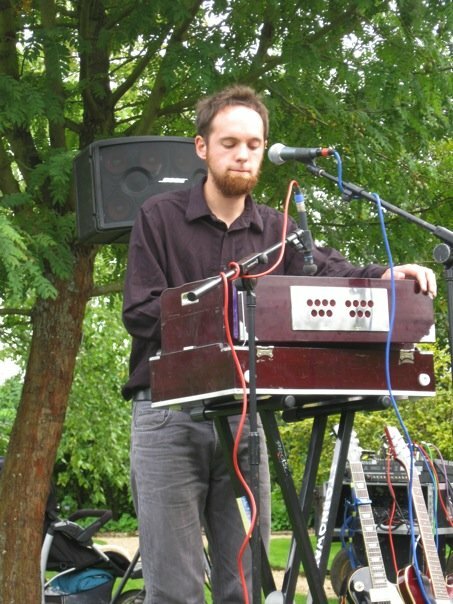 This is reflected sympathetically in the sometimes simple, sometimes swelling nature of the music, with an impressive range of instruments (including the mbira, the spoons, and ‘crunchy autumn leaves’) making each song unique while maintaining something essentially Stornoway throughout. The album’s first single, ‘Knock Me on the Head’, is certainly typical of this. While the zither-based introduction immediately catches the listener’s attention with its rolling drums and oriental feel, the simple vocals and gentle guitar line that follow take listeners right back to the band’s indie-folk roots – an unusual interplay that continues throughout the song. Lyrically the song is cryptic, filled with richly emotive yet open-to-interpretation imagery, the upbeat refrain somewhat belying the dark-fairy-tale feel of the verses. If ‘Knock Me on the Head’ is an interplay of dark and light, then the album’s opening track, ‘You Take Me As I Am’, is an all-out beacon. On the one hand it is a deeply personal love song, telling the story of a wedding. Yet at the same time the refrain’s lilting brass and jangling piano, paired with Briggs’ masterful poetic homage to the natural world and love itself, make the song an invitation to celebrate just about anything – and one that is impossible to ignore. Together with ‘The Bigger Picture’, a song that starts as a gently upbeat anthem and grows into a veritable existentialist hymn of thanksgiving, the song is a real treat for lovers of lyrics, yet no less accessible to those who just want to have a good dance around the kitchen. 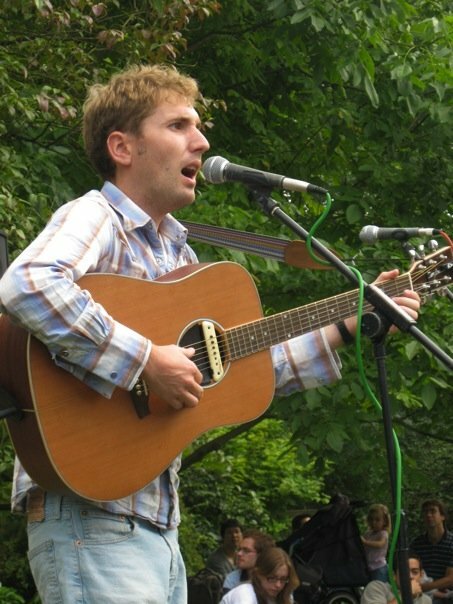 While there is joy aplenty to be had throughout the album, Stornoway also show themselves to be masters of an understated melancholy, with something very Simon and Garfunkel about the slower numbers on the album, particularly noticeable in the haunting vocal harmonies in ‘The Ones We Hurt the Most’ and ‘Farewell to Appalachia’. The latter is a particular treat, full of unexpected percussion with the hammered dulcimer adding a whimsical magic all of its own, yet remaining a subtle background to Briggs’ impressive vocal range. While not all of the album’s tracks stand out as immediately and lastingly as these, each track offers new treasures with repeated listening, and the album as a whole is well thought out. Each track stands alone in its own merit, yet is also complimentary to those around it, both musically and emotively. The album is rounded off with ‘November Song’, a lullaby returning ‘home’ to pure English folk and speaking of home comforts and contentedness – a reassuring yet no less spine-tingling conclusion to the ups and downs explored by previous tracks. Tales From Terra Firma is an ambitious artwork, drawing the listener through a full range of human experience with relentless forward-motion and a weather-worn optimism befitting the retrospective sense of adventure offered by the album’s title. For all its intricacies, the album remains down-to-earth and personal, and I’ve a feeling it’s only a matter of time before I know these songs by heart.